In remembrance of King Rama IX, Asst. Prof. Dr. Sakorn Chonsakorn, permanent professor from the Department of Textiles and Garments, Faculty of Home Economics Technology at RMUTT, and researchers have continued King Rama IX’s sustainable agriculture practices. Under the Office of The National Economic and Social Development Board (NESDB), Thailand’s agricultural system has changed and transitioned throughout the eras. Namely, there are three agricultural systems: subsistence agriculture, commercial agriculture, and dualistic agriculture, which is an agricultural system that emphasizes both competitive and sustainable agricultural practices. Moreover, Water Hyacinth is a weed that has long caused problems for farmers in terms of irrigation and water transportation. 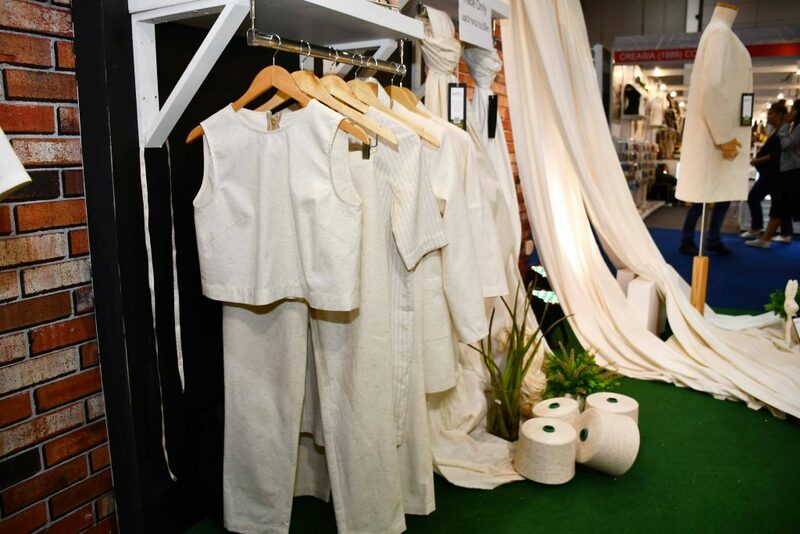 To solve these problems, Water Hyacinth were used to develop creative textile products. Asst. Prof. Dr. Sakorn Chonsakorn revealed that Water Hyacinth trunks were developed into fibers, yarns, and cloth as part of the research project to develop creative textile products made from Water Hyacinth fibers. The project received research funding from the National Research Council of Thailand (NRCT) in 2017. 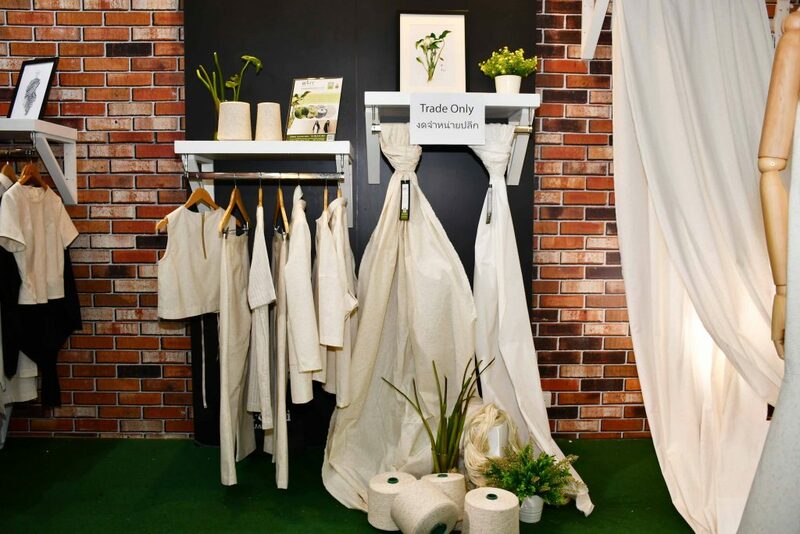 There was also a partnership with Khun Wilasinee Churath, Managing Director of Siam Rungroung Co., Ltd, whom gave advice about natural fibers at the Modern Thai Silk event with the Thailand Textile Institute (THTI) and was especially interested in Water Hyacinth fibers. 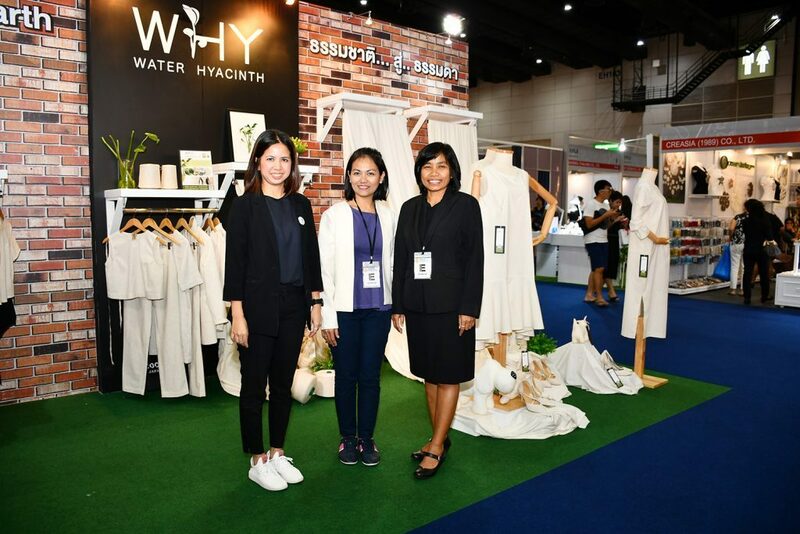 Khun Wilasinee Churath kept up-to-date about the research on the development of Water Hyacinth fiber to make creative textile products, which received subsidies from the Thailand Textile Institute (THTI) in 2015. 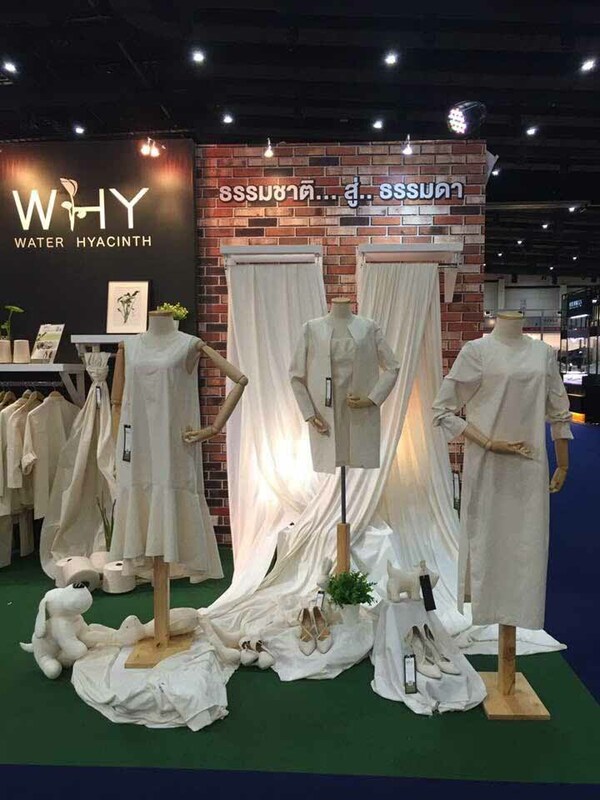 At that time, Water Hyacinth fibers were developed into cloth but faced problems due to its high cost as one yard of Water Hyacinth fiber would cost nearly THB 1,000, resulting in less customers purchasing the cloth. 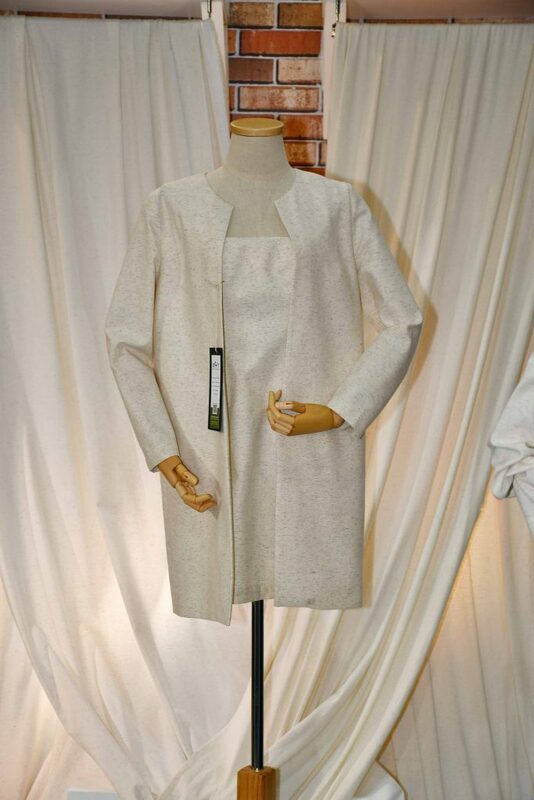 Consequently, the production of the cloth was halted, and resumed in 2017 due to the need to produce new products besides children and women’s clothing. Production also resumed to help reduce environmental pollution. 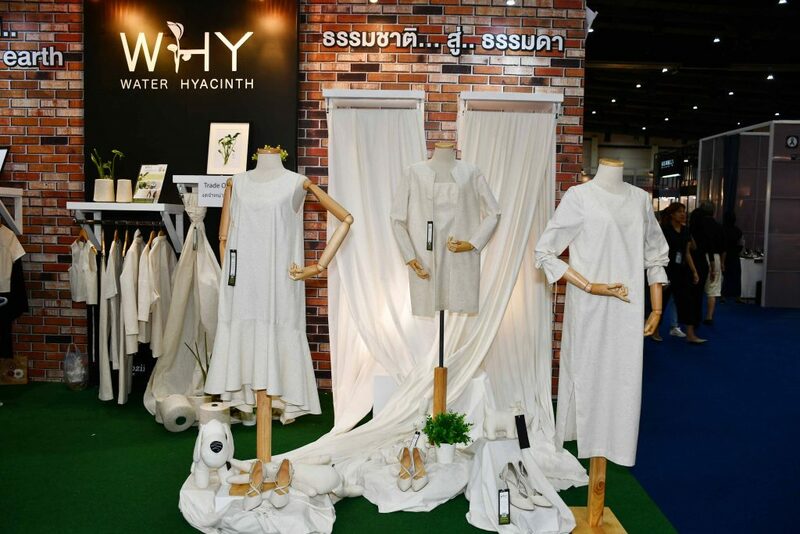 This year, the partnership with Khun Wilasinee Churath, has continued, to develop Water Hyacinth into yarn, cloth, and women’s clothing that is simple but also blends modern elements due to the properties of Water Hyacinth fibers, which make the clothing comfortable and breathable. 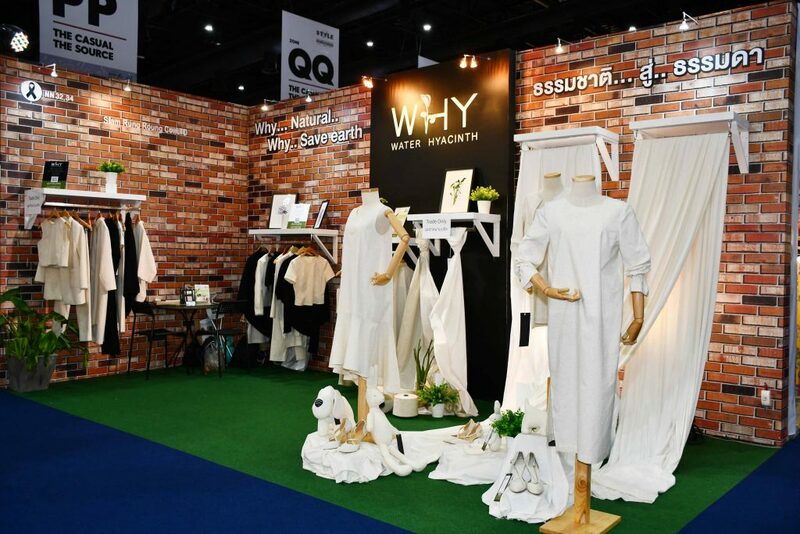 Creative textile products made from Water Hyacinth fibers were launched at STYLE 2017 to test the market, and have received favorable responses and interest from international customers. 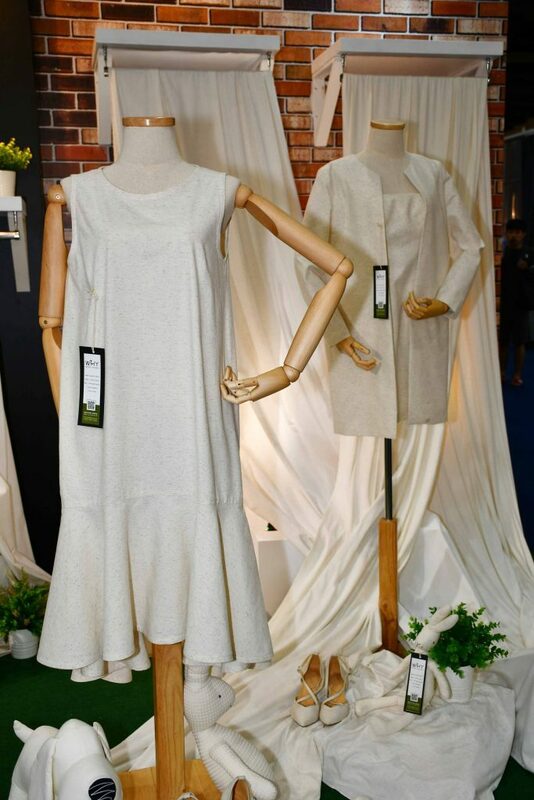 The company plans to commercialize Water Hyacinth by using Water Hyacinth fibers to create women’s clothing. 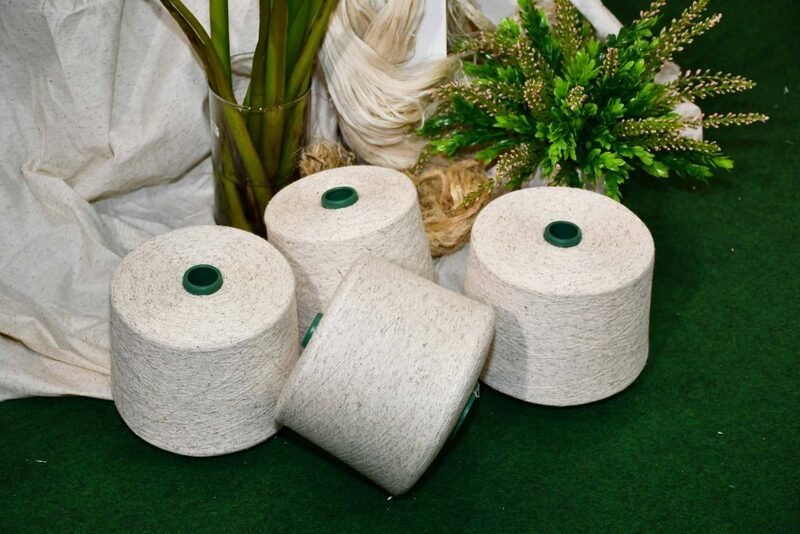 Those that are interested in products made from Water Hyacinth fibers may ask for more information by contacting Asst. Prof. Dr. Sakorn Chonsakorn at 086-618-4639.